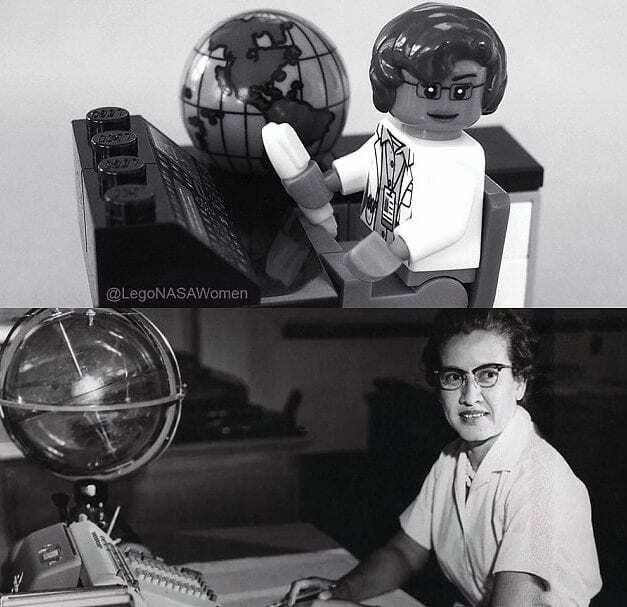 The five women who made the greatest impacts in space exploration will be featured as the newest Lego people. The new women include computer scientist Margaret Hamilton, mathematician and space scientist Katherine Johnson, Sally Ride the first American woman in space, astronomer Nancy Grace Roman, and astronaut Mae Jemison. Space Scientist Katherine Johnson was instrumental in the Apollo 11 mission, which enabled people to reach the moon. Nancy Grace Roman’s role in planning the Hubble Space Telescope greatly furthered NASA’s astronomy research program. Taraji P. Henson and Mae Jemison were the first women in space and were also successful astronauts. Katherine Johnson’s story made headlines earlier this year when the recent book and film Hidden Figures were released. Taraji P. Henson, Octavia Spencer, Janelle Monáe starred in the film. Henson’s portrayal of Katherine Johnson was well received by viewers and critics. Henson even received the Screen Actors Guild Award for Outstanding Performance by a Cast in a Motion Picture. The film itself was nominated for multiple Academy Awards. Lego is still working on their final product but should be ready for release in either late 2017 or early 2018.